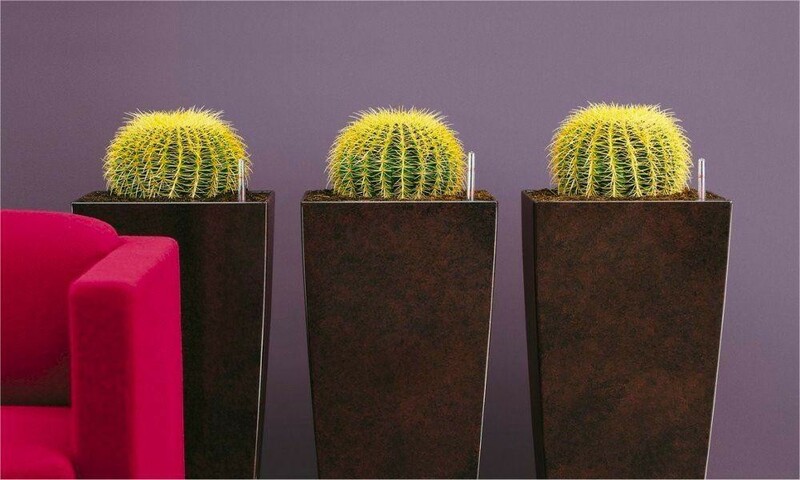 The Golden Barrel cactus is one of the hot trends for interior decor right now, perfect for a contemporary modern setting in the home or simply positioned on the coffee table or as a group in a large window. In the summer they also make a fantastic statement on balconies, terraces and decking when teamed in tall sleek planters. 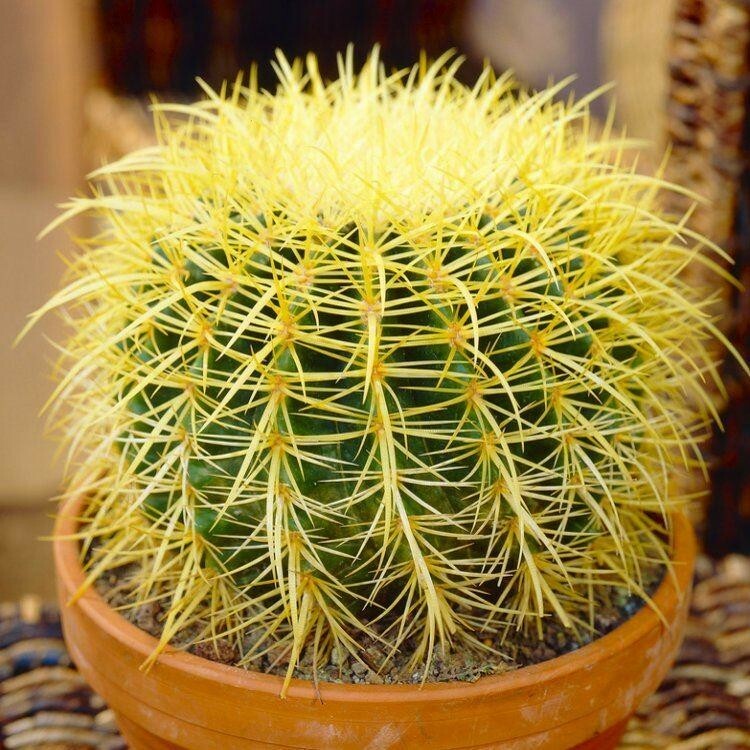 In its native Mexico, the Golden Barrel Cactus (Echinocatus) can eventually grow to around 90cms (3ft) wide after several decades, but they are very slow growing, and low maintenance, making them the perfect low maintenance plant - if you go on holiday for a month and these don't get water, they will not mind at all. The golden yellow spines make for a dramatic and bold outline, It makes a real statement when planted one per single contempory planter, particularly if you have space to place a set of these in a row on your terrace outdoors in the summer months or inside all year round. The Plants supplied are approx 30cms circumference, they are very easy to care for and almost seem to thrive on neglect! To get the most out of them feed the plants once a month during the growing season, and water well fortnightly. It reallty does not matter if it dries out from time to time. During winter, do not water the plants but just keep them slightly moist.